Bring your appetite, we will take care of the rest. We make every effort so that you can enjoy the time spent with us. Everything has to work well and be adapted to the situation so that your important moments are a nice memory. The smallest detail matters. The high quality of cooking, professional service and the extraordinarily harmonious atmosphere – perfection in every detail. Striving for this perfection is a beautiful thing and the essence of our philosophy. We believe that every dish is created from small, perfectly selected ingredients. The perfect product guarantees the richness of flavour. This is why we choose our suppliers carefully. We work closely and support local farms and businesses. Our partners are rewarded and appreciated producers. Real enthusiasts who love what they do. Our chef is a true enthusiast of his profession. He loves to cook. He loves cooking experiments, but he is mostly inspired by the culinary tradition of our region. His passion is homemade preserves, jams, marinades and liqueurs. All these products are available in our restaurant. The growing interest in culinary arts and the need to improve skills have caused that we have started work on creating a special programme of culinary courses. 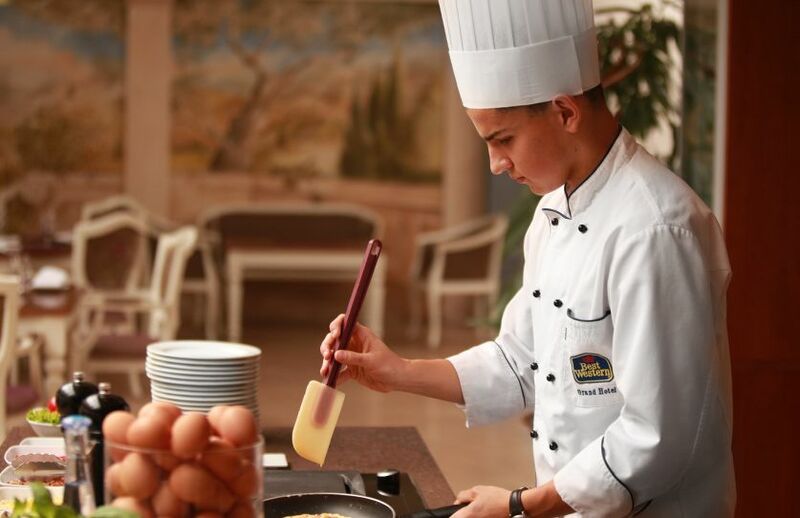 Under the supervision of our kitchen Chef and invited guests, both enthusiasts of cooking and those taking their first steps in the kitchen will be able to indulge in culinary passion. We are also working on a special offer for businesses. We want the courses and events organized at our Academy to be exceptional. We believe that cooking together facilitates communication and fosters good relationships.